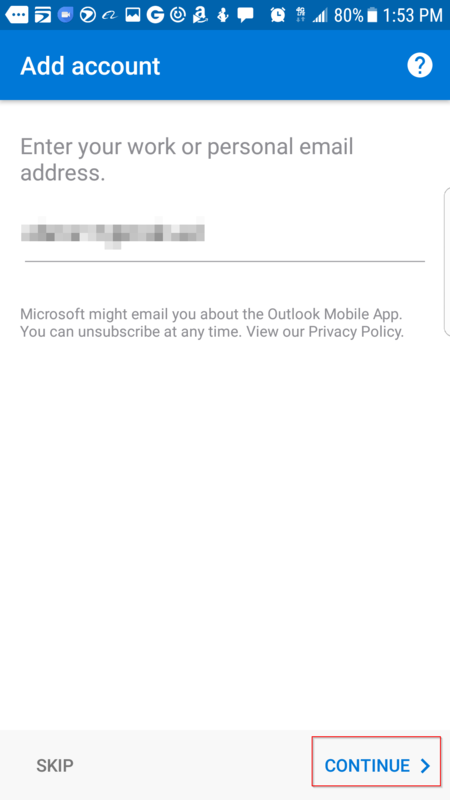 Outlook Warnings: When your account is migrated to O365, you may receive a Security warning for new “Auto Discover” settings. 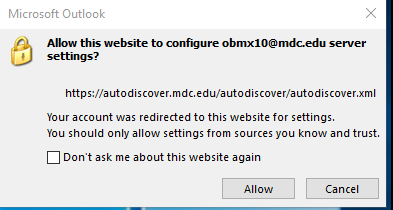 Please click on “ALLOW” button, otherwise your account will not work and you have to delete and recreate it. 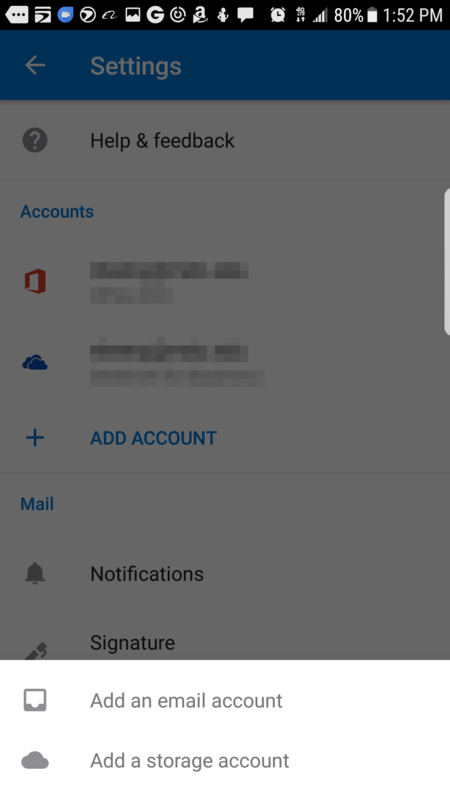 After your account is migrated to O365 you will need to make some changes to your mobile device in order to access your email. 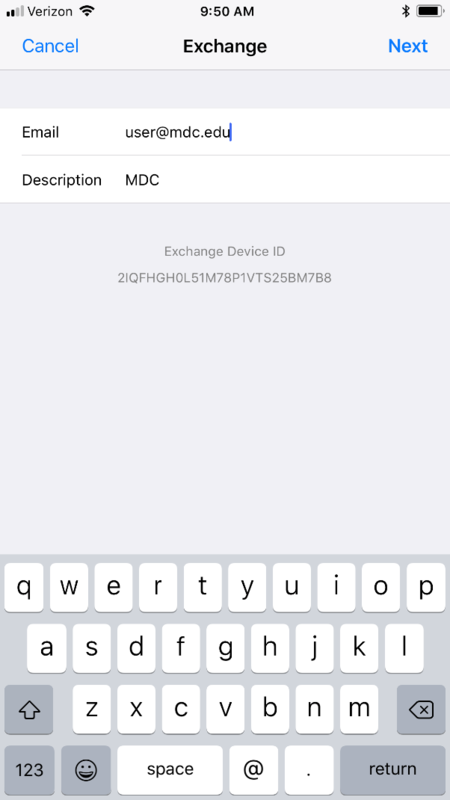 The following steps will explain the process of connecting your device. 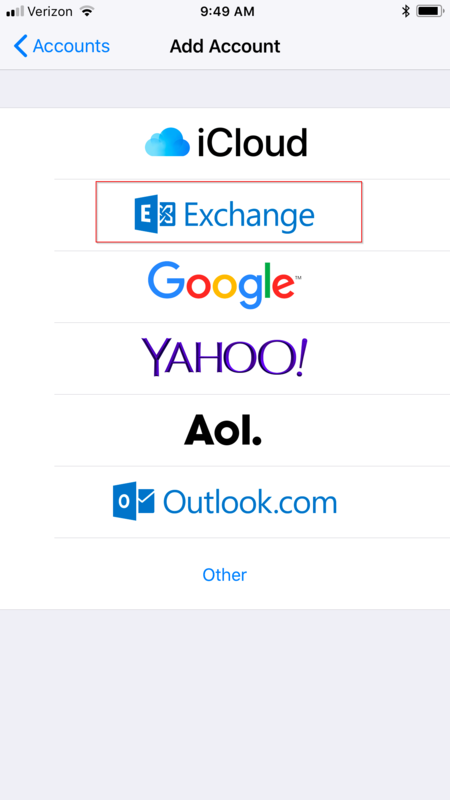 Please use the following settings to add your O365 email account to your device. 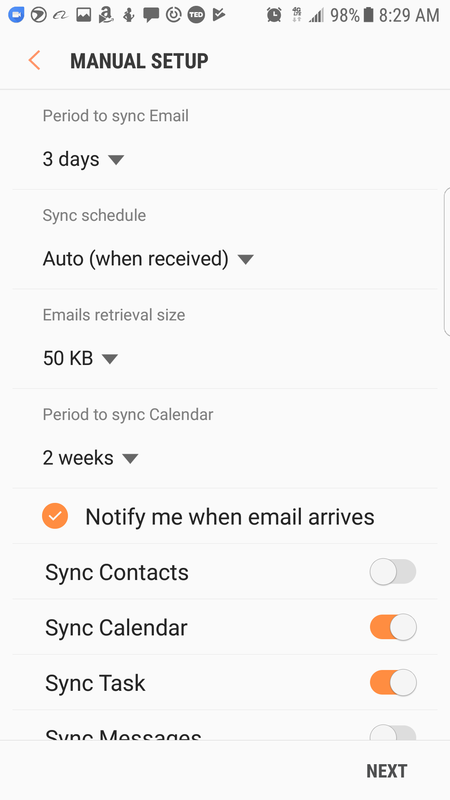 Adjust client settings for the information you would like to sync. 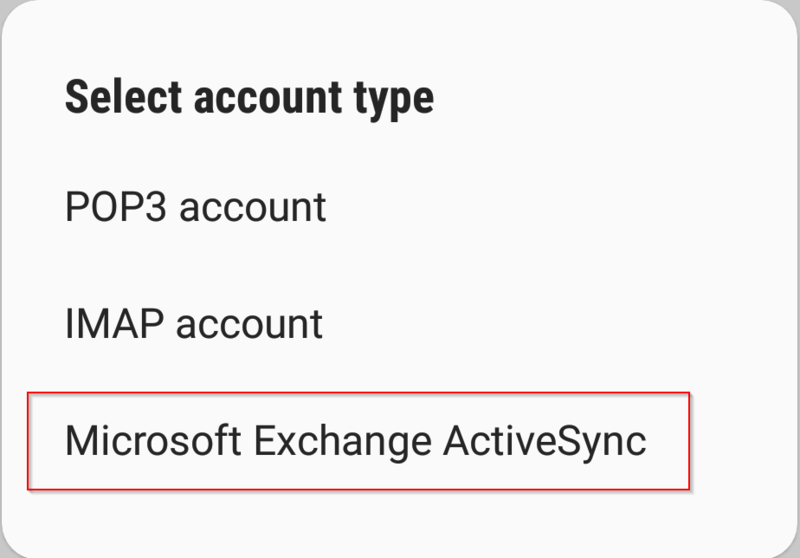 After your information is entered, select “Activate” on the device administrator step. 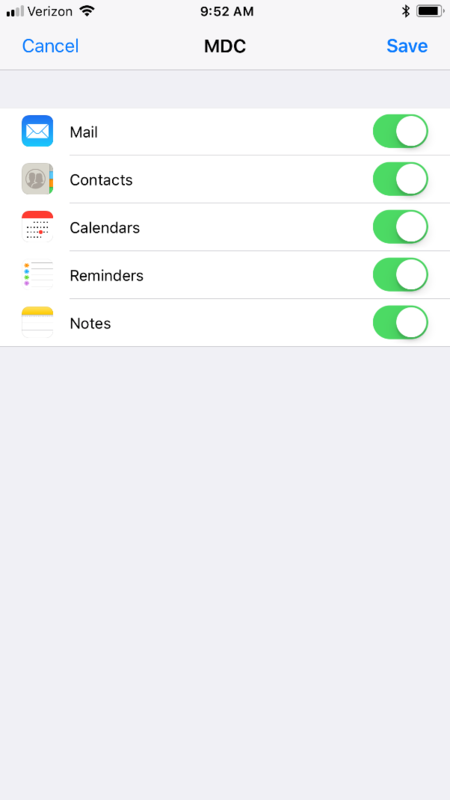 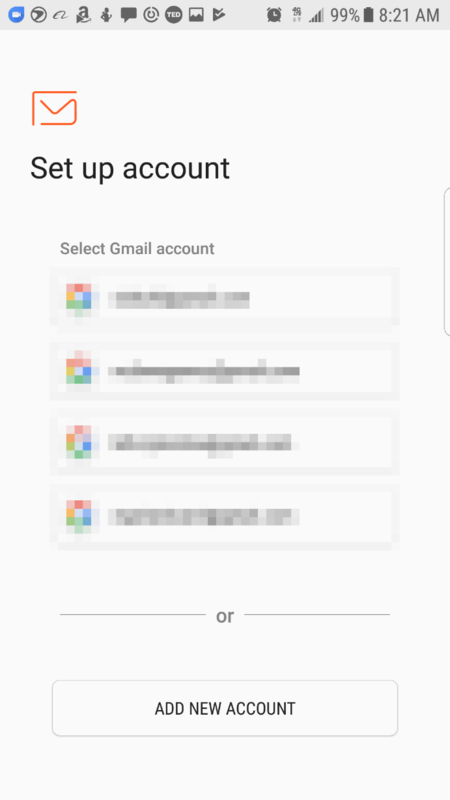 Open email native app and please remove your email account from your device before setting up the new settings. 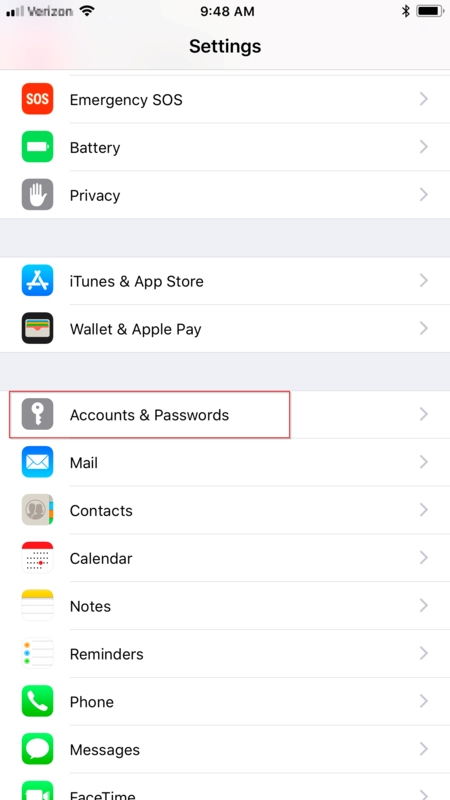 Open “Settings” and click “Accounts and Passwords”. 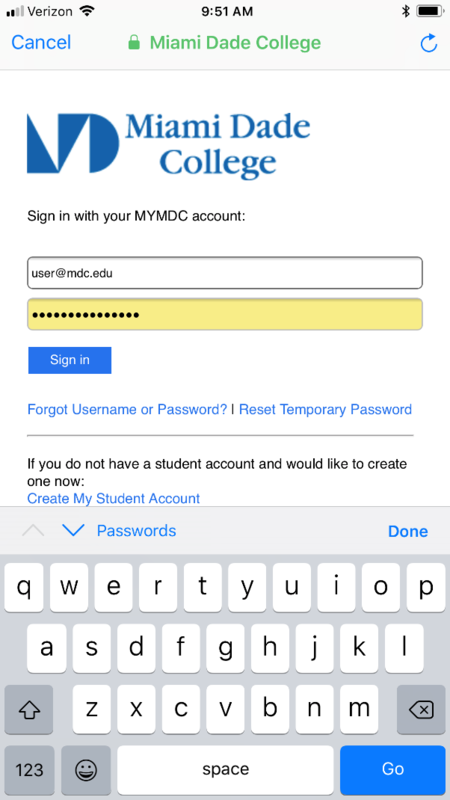 Enter your MDC email address (username@mdc.edu) and a description of the account. 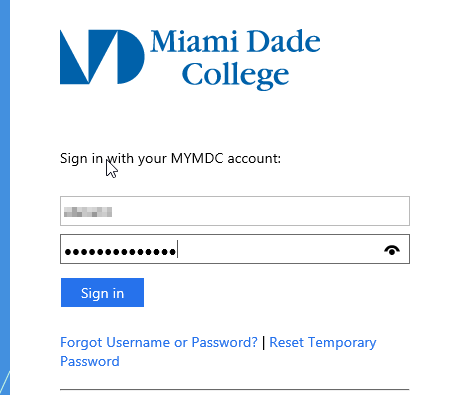 Enter in you Miami Dade college email address (username@mdc.edu) and password when prompted and click “Sign In”. 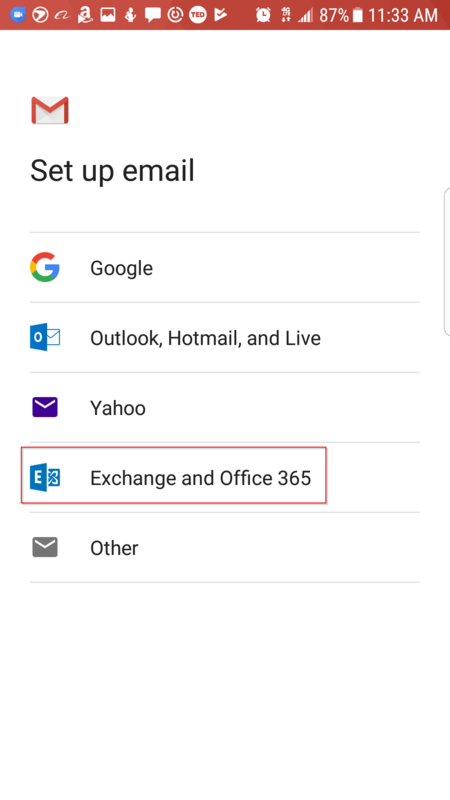 If you have never setup an account before then select “Exchange and Office 365”. 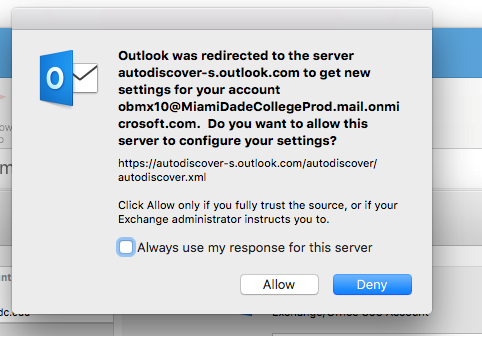 Enter your email address (username@mdc.edu) and hit continue. 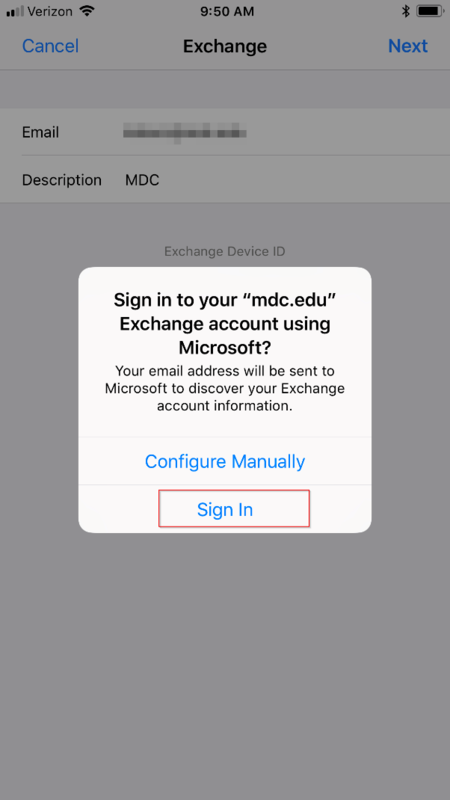 This will take you to an MDC logon page. 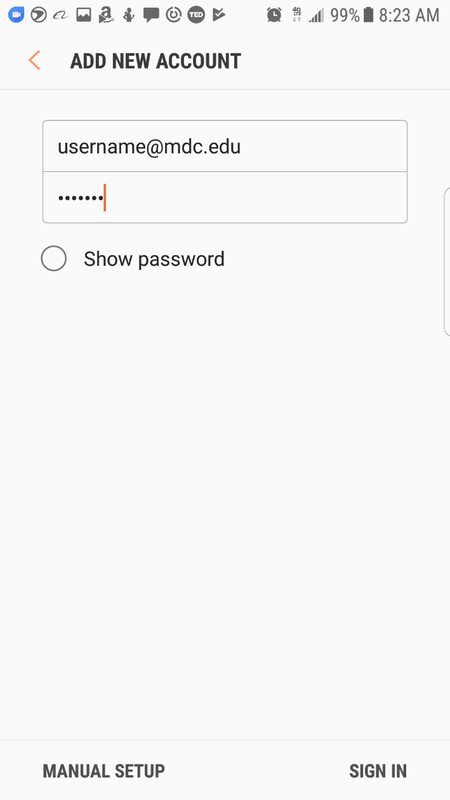 Enter your credentials and click on “Sign in”. 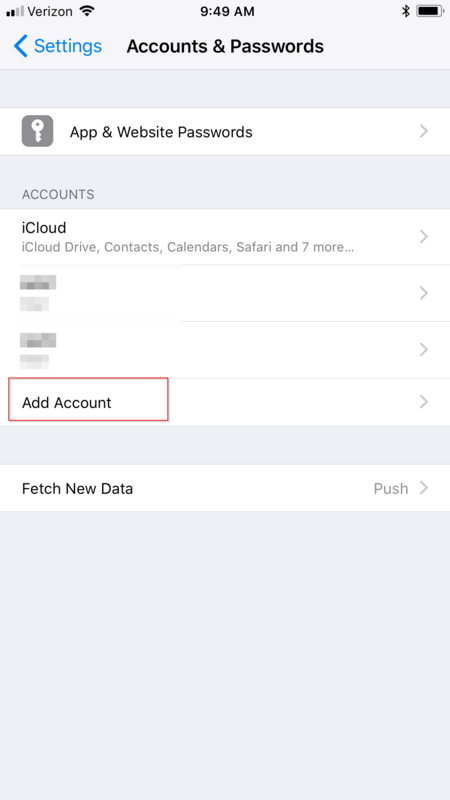 Your account will now be added to your mobile device. 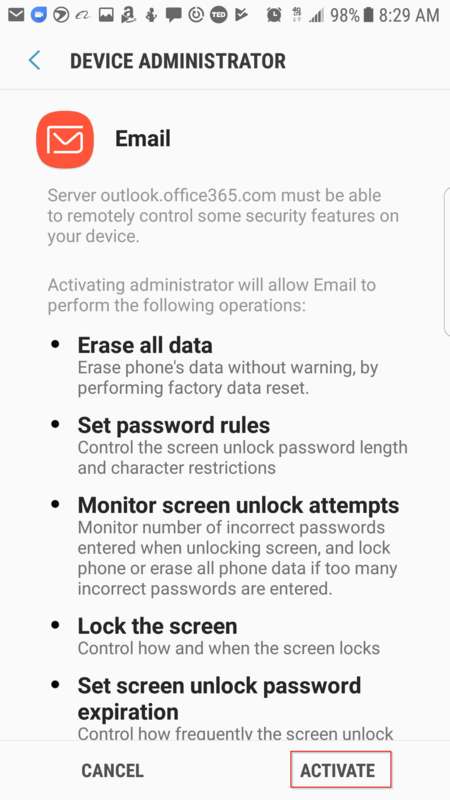 To access OWA for Office 365 please use the following steps. 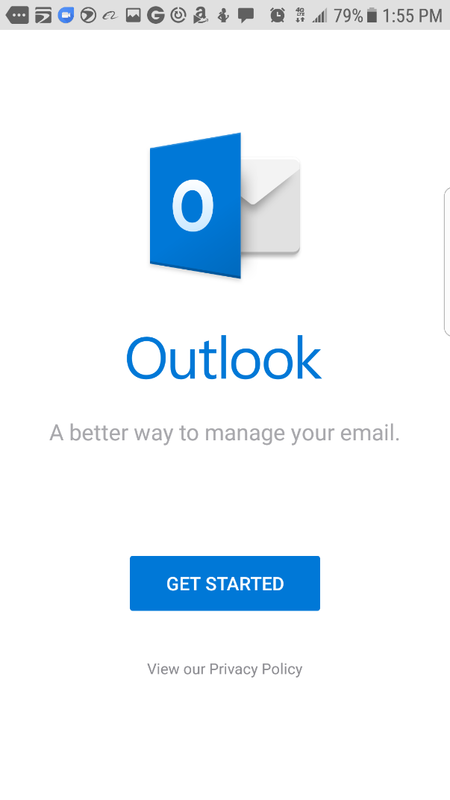 You will now be logged into your OWA email account. 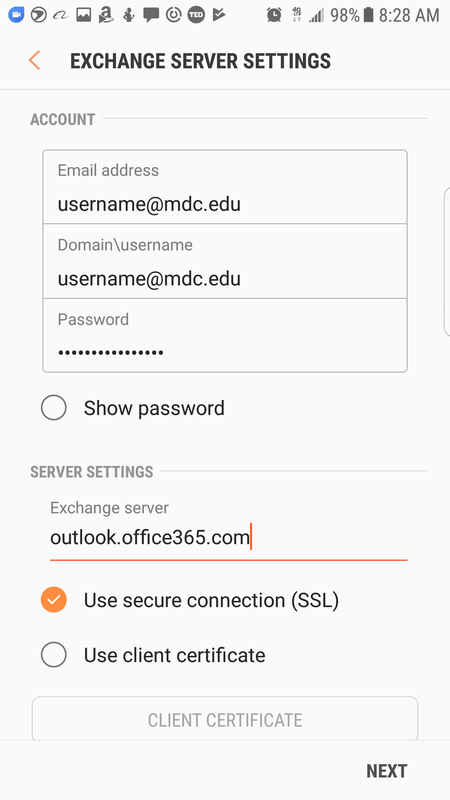 Email in Office 365 provides a number of important new features to the college. 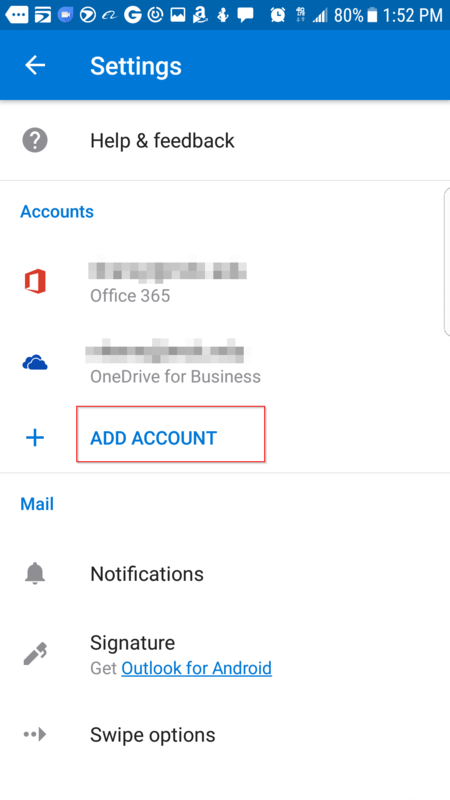 Below is a list of new features that have been added in O365. 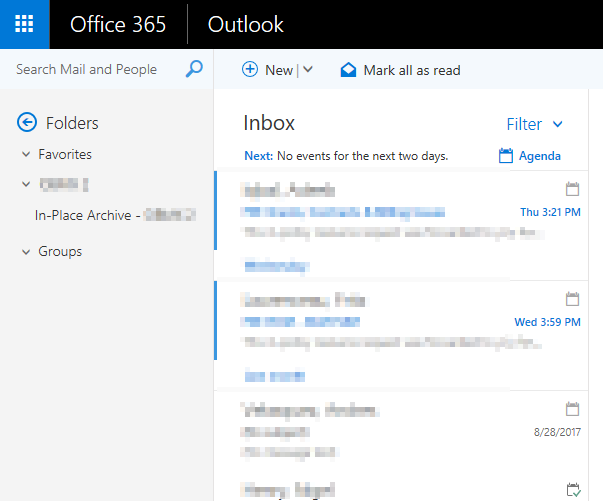 Microsoft has introduced Groups, a feature that will allow you to share emails, files, OneNote, Planner, create a SharePoint Site and shared calendar. 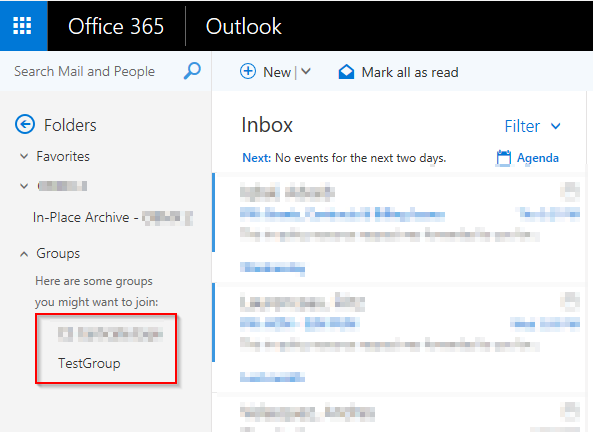 Once a group is created, the Group will be automatically added to your Outlook email folder list.